Once you have your pens and paper write down the different categories in your life. These are the ones you want to keep track of in your day planner or calendar. Start with the basics like work, school, doctor appointments, etc. Then add more specific categories in your life, like if you have children or work different jobs. I matched physical day planner colors to my iCal colors. This made it easy to remember what a color meant where I saw it on paper or on my phone. You can check out this post I wrote on how I use iCal to stay organized for more ideas and tips on setting up a digital calendar. It’s taken about a year to find a color coding system that truly works for me, but I think the one I have now is going to work out perfectly from now on. I recently wrote it out on a sticky note, which I keep in the front of my Day Designer for BlueSky planner. This is just in case I forget what color I decided to use (which hasn’t happened yet!). Picking colors was really easy. Since I had a color coding system I use for my iCal I just copied that set of colors over to my psychical planner. 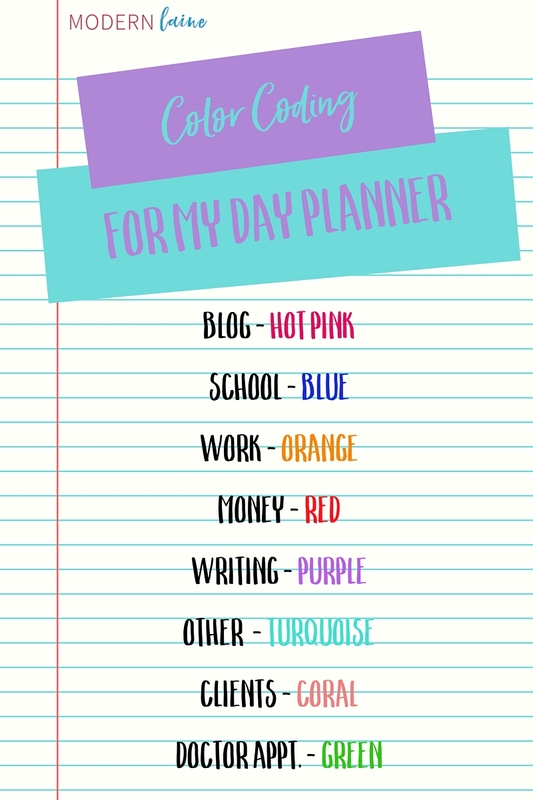 For example, I use orange to represent Work and blue to represent School, which made it easy to do the same colors for my psychical day planner. I hope you are ready to buy all the awesome colored pens. 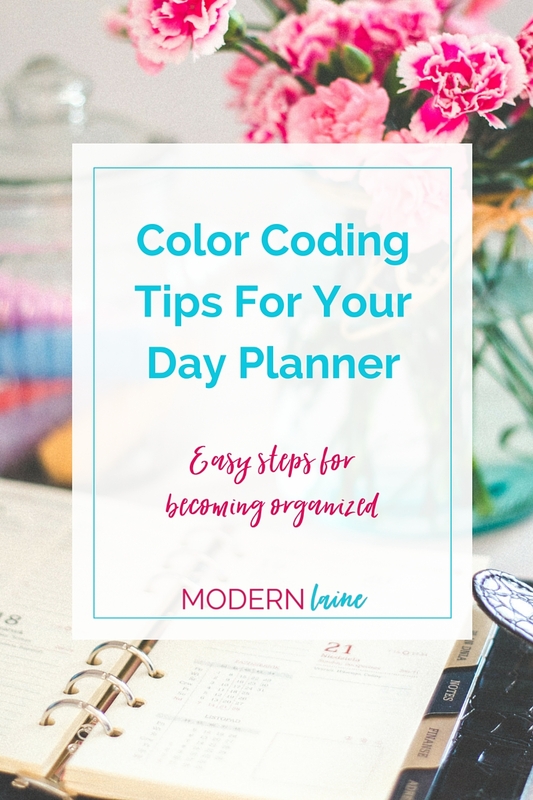 It’s time to start color coding your day planner! Need some more inspiration? 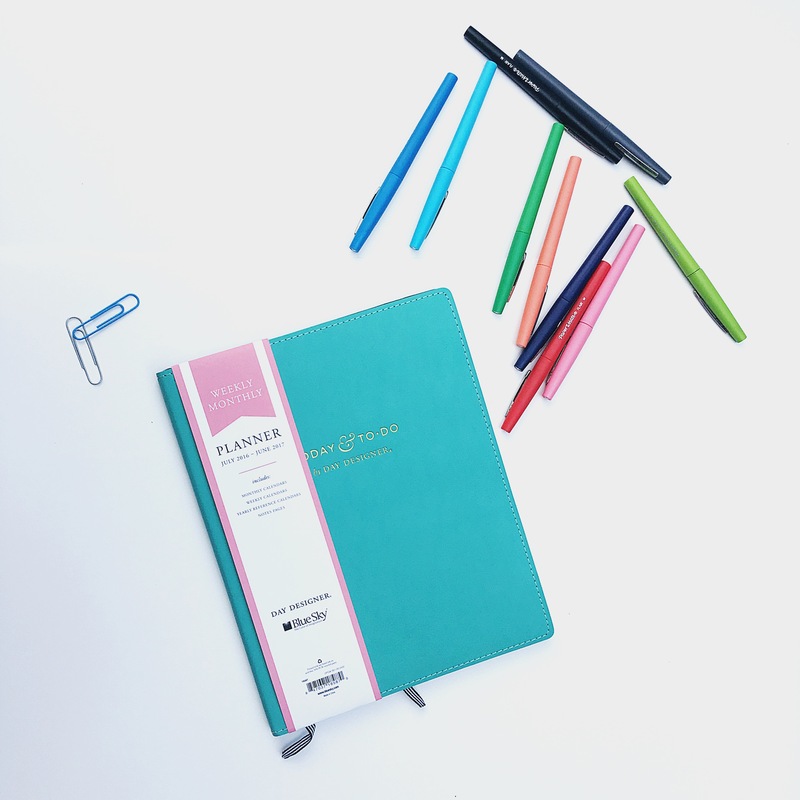 Check out the links below for more posts on how others are color coding their day planner to gain control over their schedules and be more successful. Are you ready to start color coding? Tell me all about it on Instagram!